I love finding fun arts and crafts projects to do with Kate, and our latest DIY String Art wall hanging is one of our favorites! 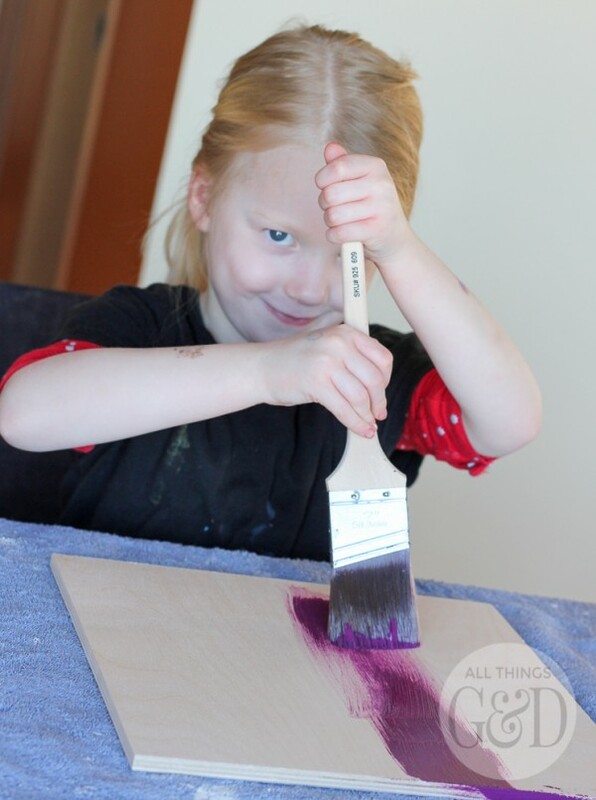 This project is a little more advanced than anything Kate has tried before, so if you decide to do this with your kiddos as well be sure to stay by their side to supervise and lend a hand. 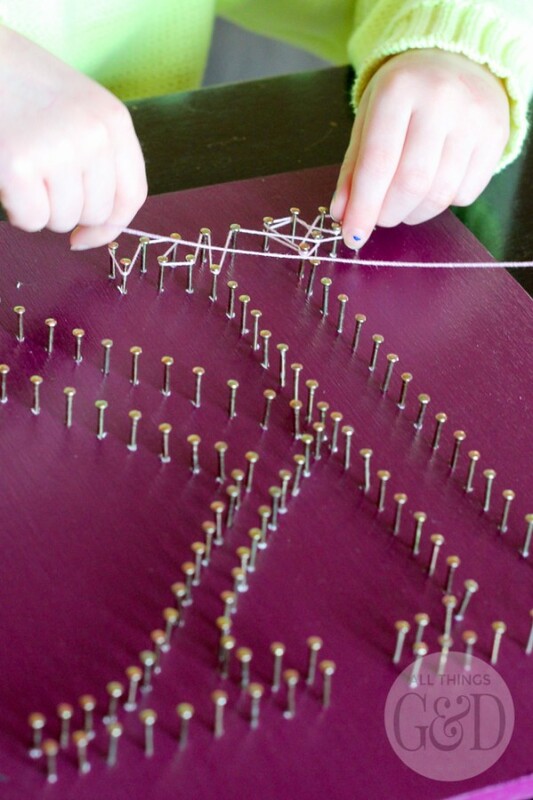 Adults will find this DIY String Art to be a pretty easy project, and little ones will enjoy the challenge and fun of trying out “grown up” tools and supplies! 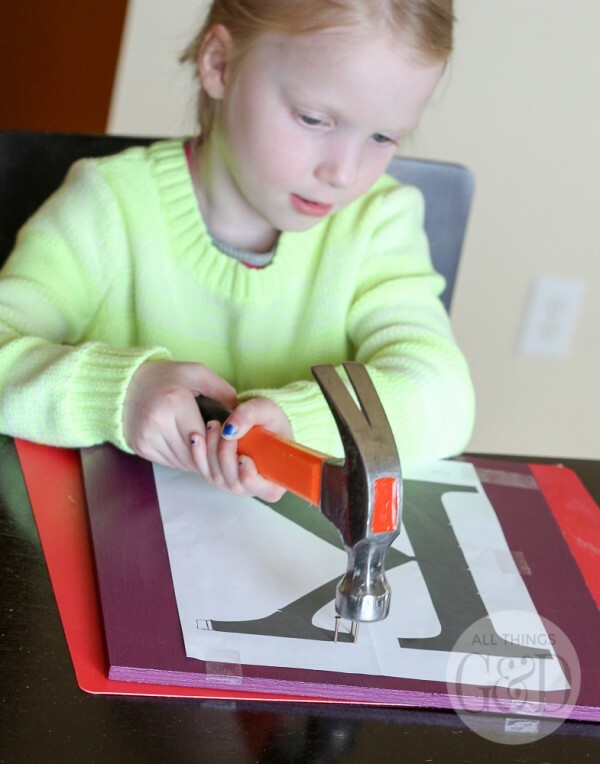 Kate (age 5) getting our DIY String Art project started. One of this best parts of this DIY is having fun with the string! Kate started out trying to wrap her string all orderly and in a pattern, but I encouraged her to get “wild and crazy” and have fun with it! 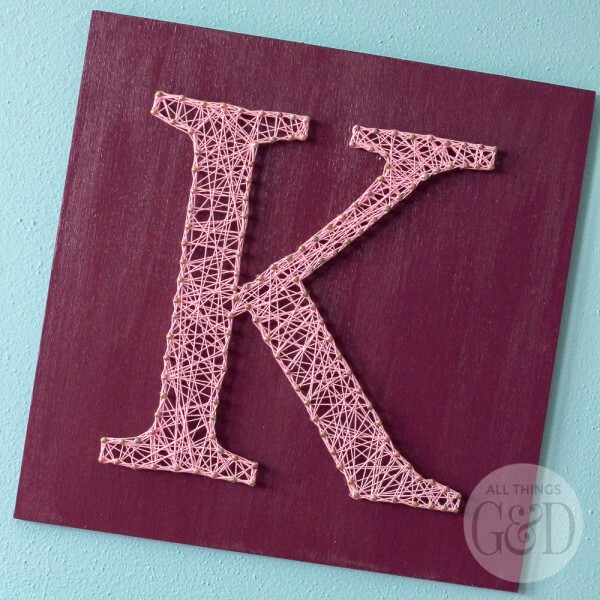 We hung Kate’s string art “K” in her bedroom above a framed sponge painted piece of art she created when she was about two years old. I love seeing her DIY projects on display and the colors match perfectly with her bright and colorful bedroom! Click on over to Homes.com for a list of supplies and my step-by-step instructions for completing your own DIY String Art! That is a really cute idea, thanks for sharing! How cute is this! MY Girls would love to do something like this. Thank you for sharing. Thank you, Mindy! Hope you and your girls enjoy! Your link to the instructions is blocked from England? Any particular reason for that?